Aptly named, La Paz Waterfall Garden’s Peace Lodge is a utopia of pure, green, misty, magical tranquility, all nestled up against the Eastern base of the Poas Volcano in Costa Rica. 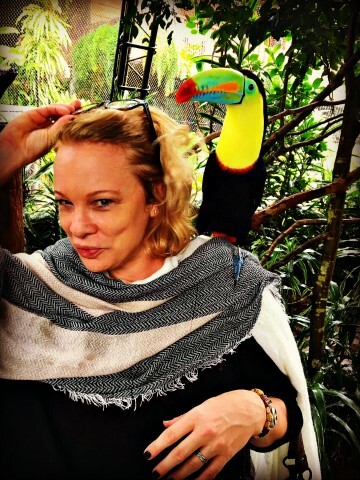 When looking for the perfect, romantic, weekend-escape, I called the team at Small Distinctive Hotels of Costa Rica; as expected, they knew just what I needed, and recommended Peace Lodge. For locals like me, Peace Lodge delivers a complete respite from the hectic, frazzled, day-to-day of city life in San Jose; especially during the extra hustle, and bustle, of the holiday season in December. Likewise, travelers to Costa Rica will revel in the chance to leave the default-world behind, unwind, and get into vacation- mode at the beginning of their trip, as Vara Blanca, and the Peace Lodge, are just one hour from the Juan Santamaria International Airport. For those vacationers who are eager to get to the beaches upon landing in Costa Rica, Peace Lodge makes for a uniquely relaxing last-stop, before departure back to reality. If just one night is all you have, take what you can get; however, I highly recommend spending at least two nights in order to really absorb the beauty, stillness, and harmony that this unique experience has to offer. As my partner and I left the hurry and noise of the city behind, our Waze app deftly directed us up into the mountains, through the winding streets of the small villages and farming towns on the outskirts of Heredia, and on to Vara Blanca where Peace Lodge at La Paz Waterfall Gardens is located. 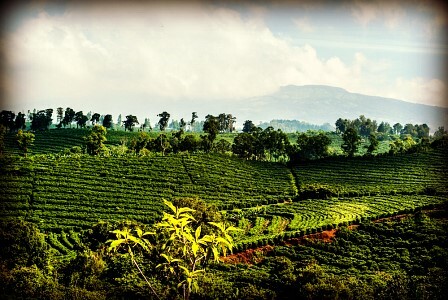 Enjoying the short drive, the rolling hills of coffee plantations and quaint farm houses left us feeling charmed and bedazzled by the Costa Rican countryside. With its sun-dappled, verdant hills, and sprawling valleys, I think this area is truly one of the best kept secrets of Costa Rica’s vacation hotspots. Stopping at a street-side stand near the resort, we picked up some fresh strawberries, blackberries, and locally made cheese to keep in our room’s mini-fridge at the lodge. We knew these would be the perfect treat to enjoy out on the balcony with our breakfast, or even for some late afternoon downtime in front of the roaring fireplace. Upon checking in, we were given handcrafted, wooden-bead bracelets (to identify us as guests), a map of the resort, and a short explanation of all the exhibits, restaurants, points of interest, amenities, and activities available to us during our stay. A friendly staff member brought us welcome mocktails, carried our bags, and showed us to our room. 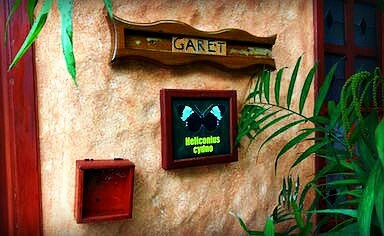 Upon arrival, we were delighted to find a little plaque with our family name on it to greet us at our door. These, and a myriad of other small, thoughtful considerations, and attention to detail, made us feel instantly like pampered, and appreciated, guests. It’s difficult to say which was the most delightful feature or amenity in our beautiful, romantic guest room. The lush, rainforest view from our balcony, complete with its hummingbird feeder and abundance of tiny, feathered, jewel-toned visitors; the hammock (and thoughtfully, strategically-placed pull), the al fresco dining table and chairs, or outdoor Jacuzzi; the four-poster canopy of our king-size bed with its luxuriously high-end linens, or the massive, river-stone fireplace just in front of it; or, perhaps, the indoor waterfall garden overlooking the (second) Jacuzzi tub in the bathroom, just next to the separate, enclosed rain-shower, and across from the double vanity. We fell in love with the organic, biodegradable bath products by Raw Botanicals of Costa Rica, as well as the ornate ironwork towel holders, bathrobe hangers, and ambient, dimmable light fixtures throughout. 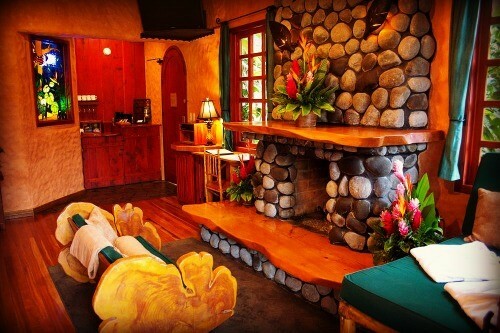 From the iPod dock and sound system, to the flat screen TV and DVD player with a FULL library of movies, to the fresh flowers upon the fireplace mantle, seemingly no detail at Peace Lodge is left un-attended to. The well-stocked mini bar and fridge, complete with gourmet snacks and premium bottled water, sodas, liquors, wines, beer and spirits, as well as the complimentary coffee and tea; the chaise lounge in the corner of the room, or the Hobbit inspired, rocking-couch in front of the fire; all these things, combined with exemplary room service, could easily entice a couple to stay cozily indoors throughout their entire stay. We reveled in the comfort, privacy, and coziness of the space, and during our stay we enjoyed a delicious bottle of wine out on the balcony, danced together to the thrum of light jazz emanating from the sound system, and slept blissfully to the sound of early the December night-rain, just outside our balcony doors. At the risk of aggrandizing, it was very nearly a night made in heaven. After settling into our room, we were hungry, so we decided to head down for a quick bite at the Big Trout Bar. There, we had (freshly caught and prepared) fish & chips, talked, laughed, and gazed out at the waterfalls, trout lake, and pristine forest beyond. Since the rain had started (a common late afternoon, mountain range occurrence), we decided to head back to our room and cozy up to the fireplace with a glass of wine before our in-room couples massage (which was spectacular, to say the least), followed by our scheduled evening excursion to see the ranarium (frog exhibit). When the time came, we joined other guests in the lobby of the hotel and made our way in a mini-bus down to the frog exhibit. 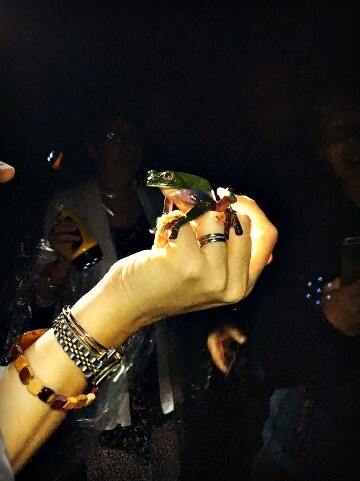 To our surprise, and pleasure, the frogs are housed in an open terrarium, which meant that we were not restricted to merely viewing them through glass, but were able to get up close and interact with them. We have more than a few great pictures and funny stories to tell about this wonderful experience. From garden variety bull frogs, to spectacularly colored “blue jean” frogs, or the “golden eyed leaf” frog, we were introduced to many different species in the landscaped enclosure. Finally, we headed for our 8:15pm dinner reservation at Vista Poas Restaurant. Pleasant and warm, with massive river-stone fireplaces at either end of the room, the ambiance was perfect, the service impeccable, and our meal was an absolute culinary delight. Fresh ingredients, artisan bread, and delightfully unique creations made for an exceptional meal. If you’re a foodie, you’ll love this menu and wine list; we certainly did. Now, normally, we love to sleep in on the weekends, but we were eager get moving and explore the grounds with all that La Paz Waterfall Gardens has to offer. Thus, by 9:00am we were out the door and off. We’d read that the resort boasts 3.5 kilometers of hiking trails, ten animal exhibits, five waterfalls, and more than 100 animal species, so we knew we were in for some serious sensory overload; we were not disappointed. We started out by hiking down to the authentic Costa Rican farm house, “Casita De La Paz,” first stopping to marvel at the hundreds of hummingbirds zipping around in their feeding garden nearby. At the house, we were greeted by the massive white oxen stabled just outside, and inside the house we were gifted with a snack of fresh cheese, “tamal de maizena” (a typical Costa Rican pastry made of maize), and a hot cup of “agua dulce” (an infusion of whole sugar cane and spring water) fresh off the wood stove. We learned that the farmhouse reproduction was built using only the tools available to the average farmer at the turn of the twentieth century, including axes, hand saws, hand planers, picks and chisels, and we delighted in the authentic furnishings, household goods, and antique stoves. We visited in the morning, but it is my understanding that each afternoon guests can help milk the cows, or take a ride in the ox-driven cart. Next, we walked around to visit the rescue jungle cats that make their home at La Paz. 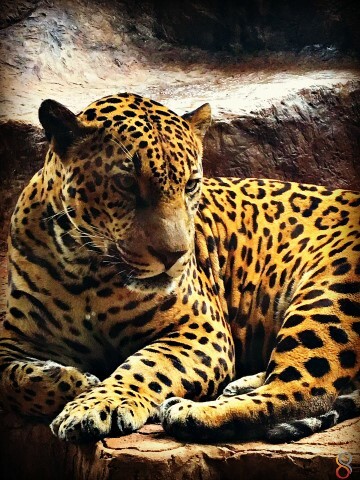 The resident jaguar was impressive to say the least. We wondered about the cat’s origins, and were informed that the center that previously housed the animals lost funding and had to close. 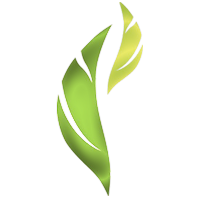 Therefore, the MINAE (the Costa Rican Ministry of the Environment), not having the resources to care for them either, placed them under the care of La Paz Waterfall Gardens. We were pleased to learn that La Paz hopes to release the offspring of their cats into protected zones if, and when, a safe and reliable program can be developed to do so. After visiting the jungle cats, we decided to do a little hiking. The resort is 70 acres, and lucky visitors can get pretty close to the five beautiful waterfalls that were previously only visible from the mountainside. We took some incredible photos from the various viewing platforms, and even got up close to see the underside of the Mangia Blanca waterfall. 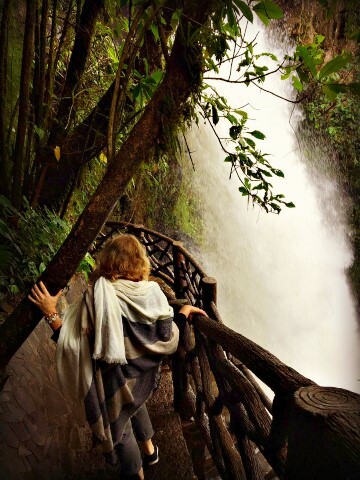 The Templo and Encantada waterfalls are equally breathtaking, and the bridges, platforms and stairs really get you into the forest and near enough to feel the waterfall mist on your face (I recommend wearing a waterproof jacket or poncho; you can find both in the resort gift shop). Go slow and enjoy the hike; there are a LOT of steps, good sturdy railing, and a nicely paved hiking trail that will take you 45 minute to an hour to hike, depending on how much time you spend gazing at the majesty of the falls. While hiking deep through the forest, alongside the waterfalls and rushing river, one is enveloped in a quiet, magical sensation; in my opinion, this a must-have experience for anyone visiting Costa Rica. At the end of our waterfall hike, we found a restful bar and snack station, a gift shop, and a transport bus to take us back up to the hotel lobby. This part of our expedition was fun too! To our enchantment, our driver was playing lively holiday music, and we all (driver included) enjoyed the camaraderie of loudly singing along to “Jingle Bell Rock” as we made the slow ascent back up to the main area of the resort. Since we only had the one night to stay, we decided to check out of our room upon return from our waterfall hike. Check out was easy and fast, as a friendly staffer came to carry our luggage up to reception. Even though we checked out, we were invited to stay for the day and enjoy the resort. Thus, we spent the rest of the afternoon visiting the butterfly garden, the aviary, the monkeys, the hummingbirds, the heated pool (where the staff had thoughtfully left a dispenser of fresh spring water with lemon slices), and, finally, the Colibries Restaurant, with its majestic central fireplace, where we enjoyed a fabulous, early afternoon buffet lunch of “comida tipica” (typical Costa Rican fare).